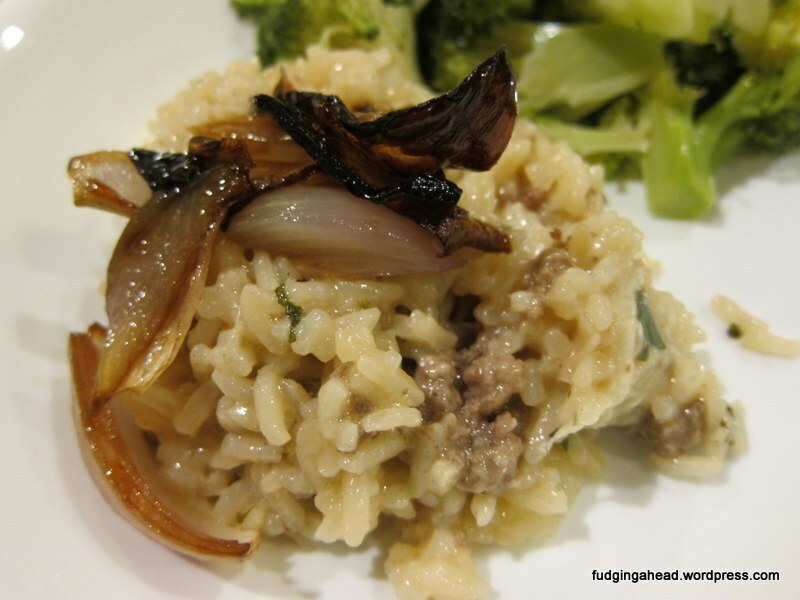 The risotto is delicious on its own, but with the shallots…yes yes yes. 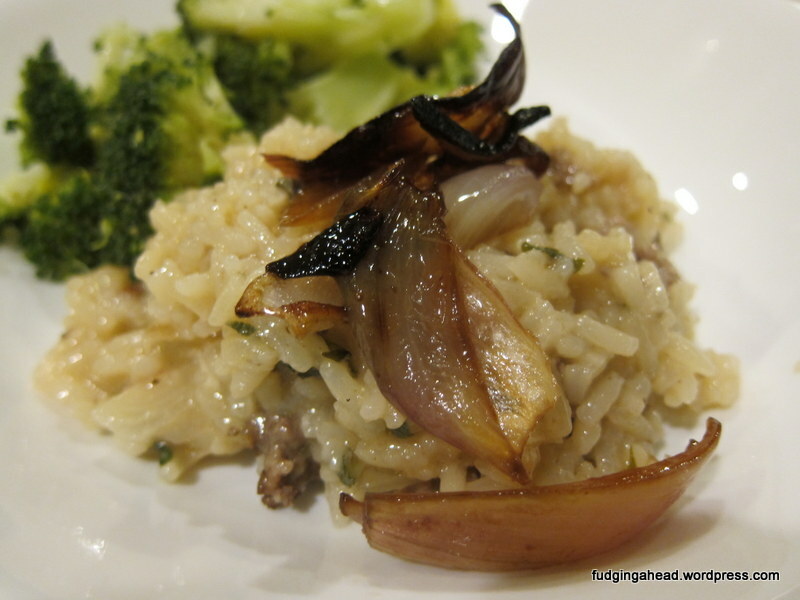 Next time I plan on making more of the shallots to eat with the leftover rice because we really liked them. 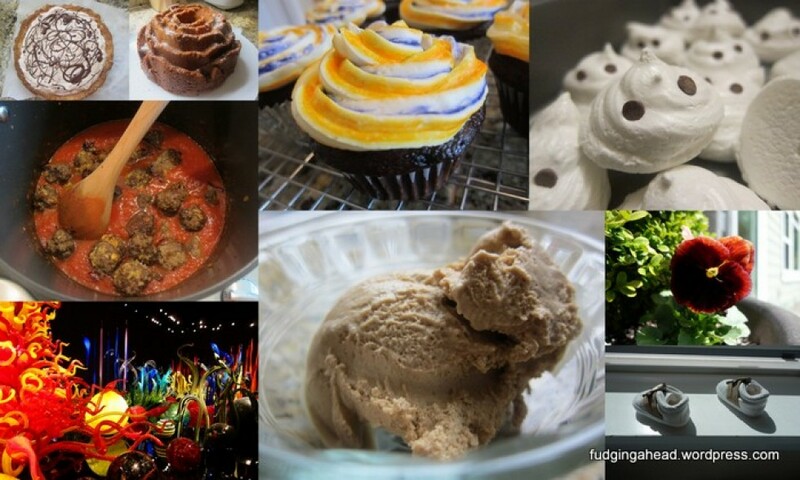 They were sweet, soft, and a great flavor addition to the dish. Preheat the oven to 425 degrees F. In a bowl, stir together the olive oil, balsamic vinegar, brown sugar, and salt. Add the shallots and gently toss. Then place the shallots in a small, shallow baking pan. Pour the rest of the sauce on top, then put in the oven and roast for about 25 minutes until the shallots are tender. Stir the shallots halfway through the baking time. Set aside for the risotto. 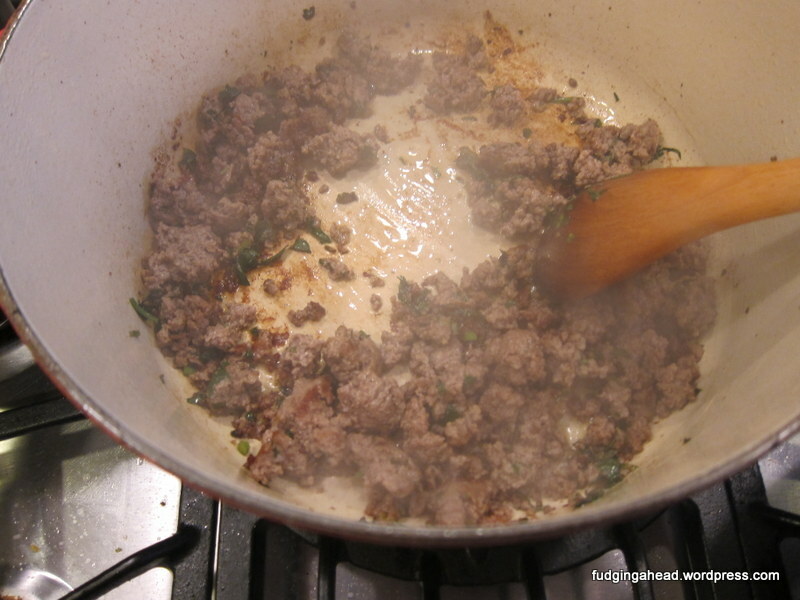 In a large pot, such as a Dutch oven, brown the sausage with the parsley and sage, breaking it apart as it cooks. Remove it from the pot and set aside. Meanwhile, bring the chicken broth to a simmer in a medium saucepan. 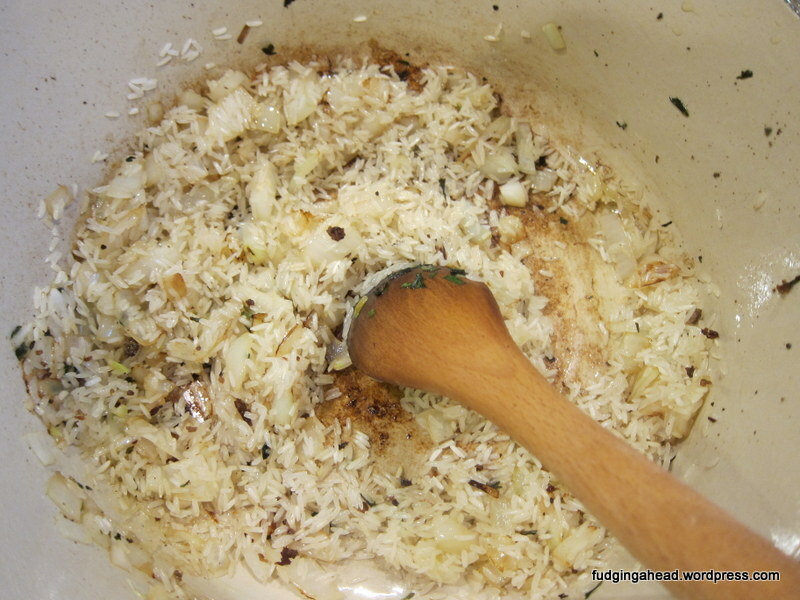 Add the onion to the Dutch oven over medium heat and cook until translucent, adding some oil if needed to the pot. Add the rice and stir until it toasts a bit (about 1-2 minutes). 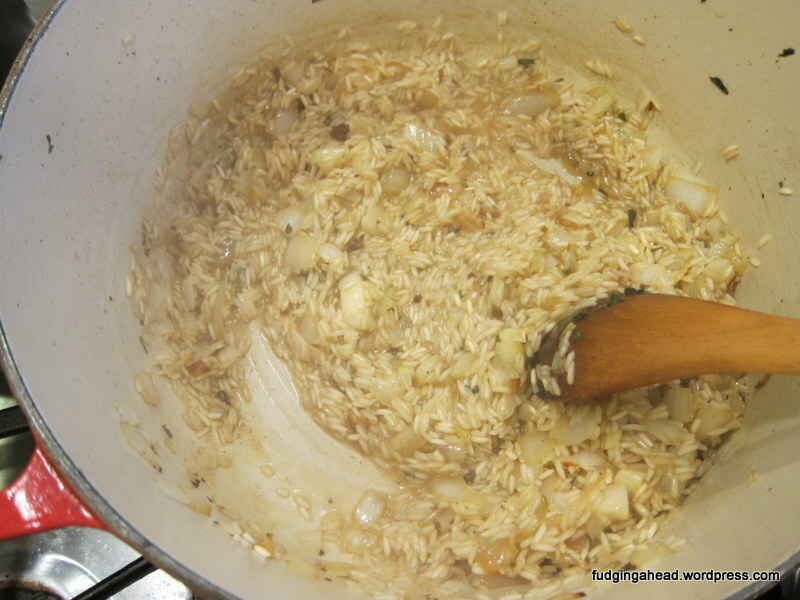 Add the wine and cook until it evaporates, scraping up the browned bits from the bottom of the pot. Now begin adding the chicken broth 1/2 cup at a time, allowing the rice to absorb it before adding the next amount, stirring constantly. 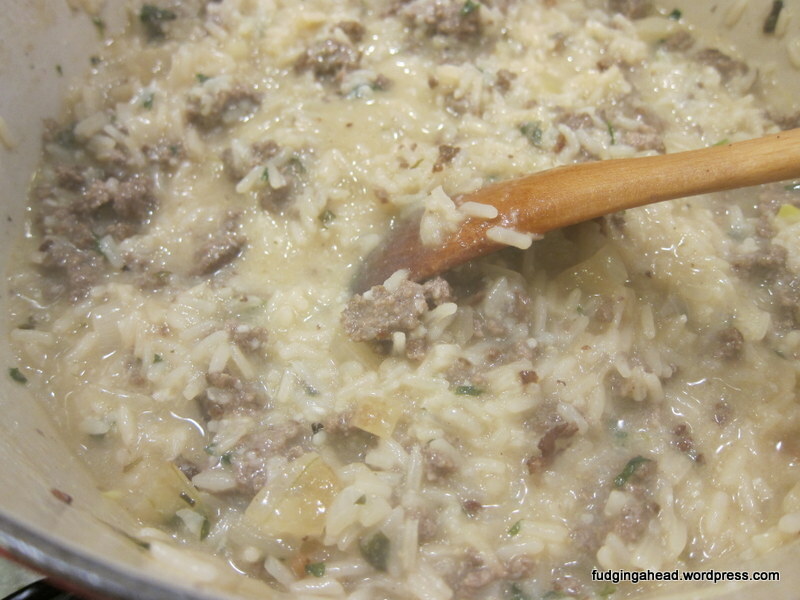 Once all of the liquid is absorbed, the rice should be creamy and tender. This will take roughly 20 minutes. Turn down the heat to low and fold in the sausage, cheese, and butter. Season to taste with salt and pepper. Serve with the shallots on top. 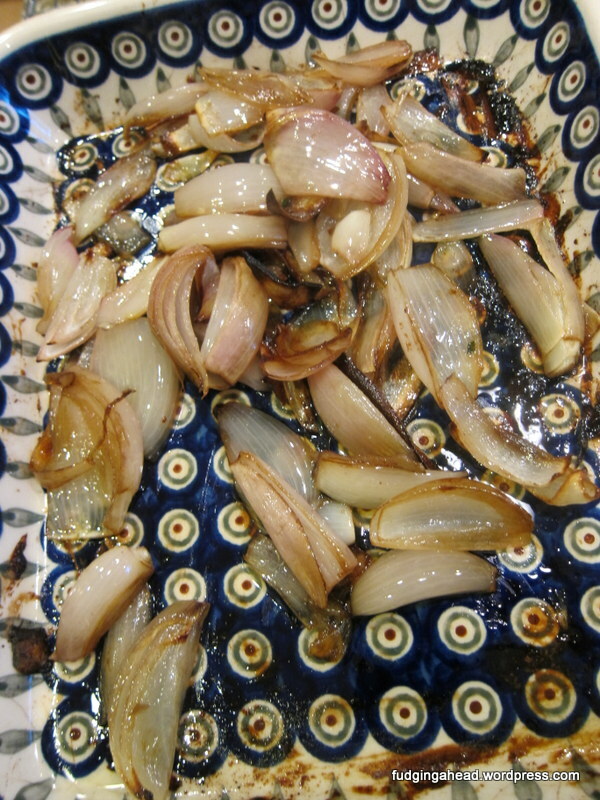 Preheat the oven to 425 degrees F. In a bowl, stir together the olive oil, balsamic vinegar, brown sugar, and salt. Add the shallots and gently toss. Then place the shallots in a small, shallow baking pan. Pour the rest of the sauce on top, then put in the oven and roast for about 25 minutes until the shallots are tender. Stir the shallots halfway through the baking time. Set aside for the risotto. 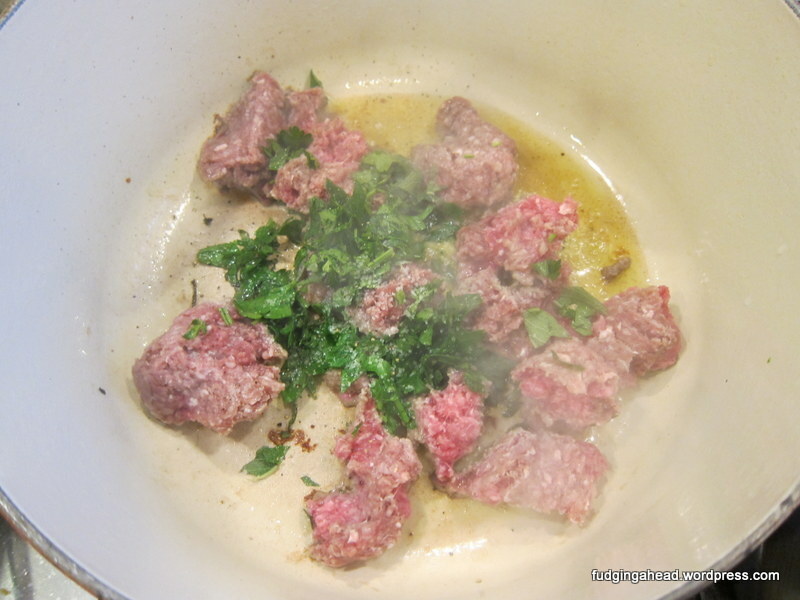 In a large pot, such as a Dutch oven, brown the sausage with the parsley and sage, breaking it apart as it cooks. Remove it from the pot and set aside. Meanwhile, bring the chicken broth to a simmer in a medium saucepan. Add the onion to the Dutch oven over medium heat and cook until translucent, adding some oil if needed to the pot. Add the rice and stir until it toasts a bit (about 1-2 minutes). 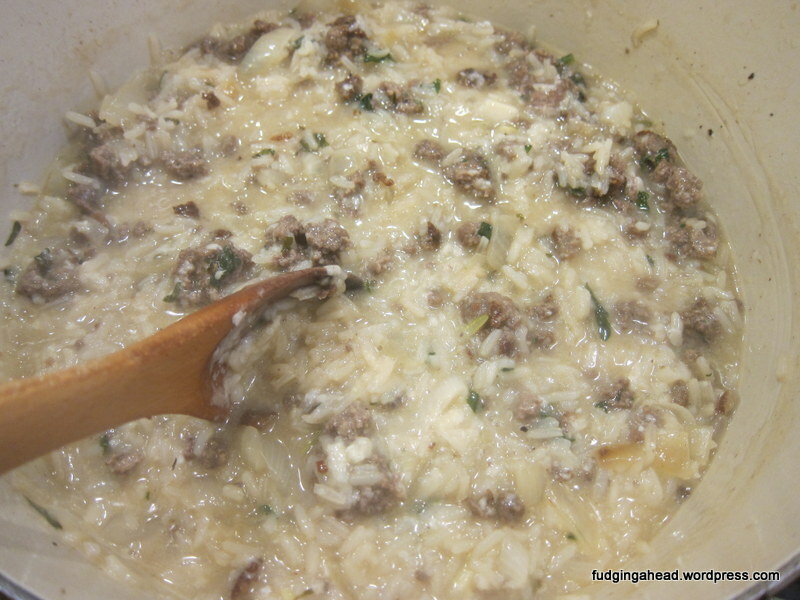 Add the wine and cook until it evaporates, scraping up the browned bits from the bottom of the pot. Now begin adding the chicken broth 1/2 cup at a time, allowing the rice to absorb it before adding the next amount, stirring constantly. 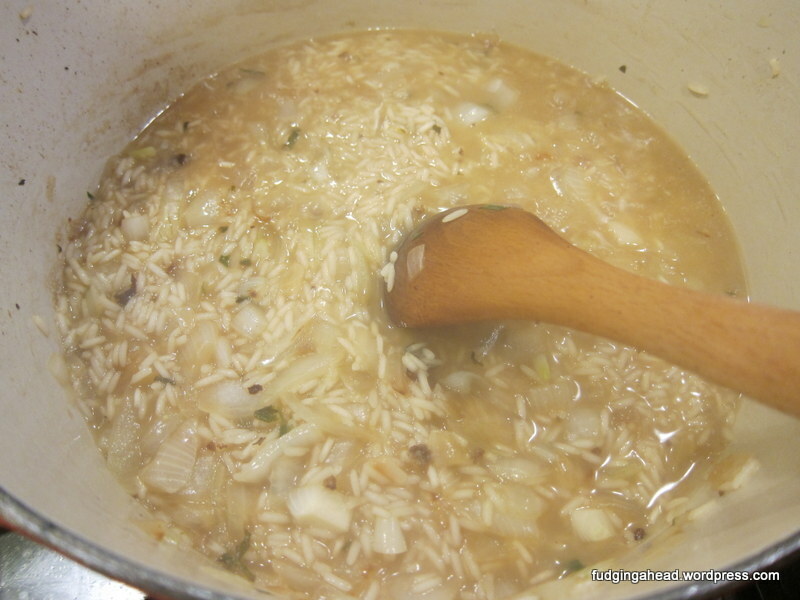 Once all of the liquid is absorbed, the rice should be creamy and tender. This will take roughly 20 minutes. Turn down the heat to low and fold in the sausage, cheese, and butter. Season to taste with salt and pepper. Serve with the shallots on top.